Very happy – I think all of the players really appreciate the fact that we have had a proper break this time, with no tournaments for a couple of months since the World Championship. It’s important to have time to rest and go on holiday with our families, because we spend so much time away at tournaments once the season gets going. I went to New York with (partner) Mille and had a fantastic time, the best holiday we have ever had. We saw all the sights like the Statue of Liberty, the Empire State Building, we went to see Phantom of the Opera….just to go to all the places you see on movies and TV shows was incredible. 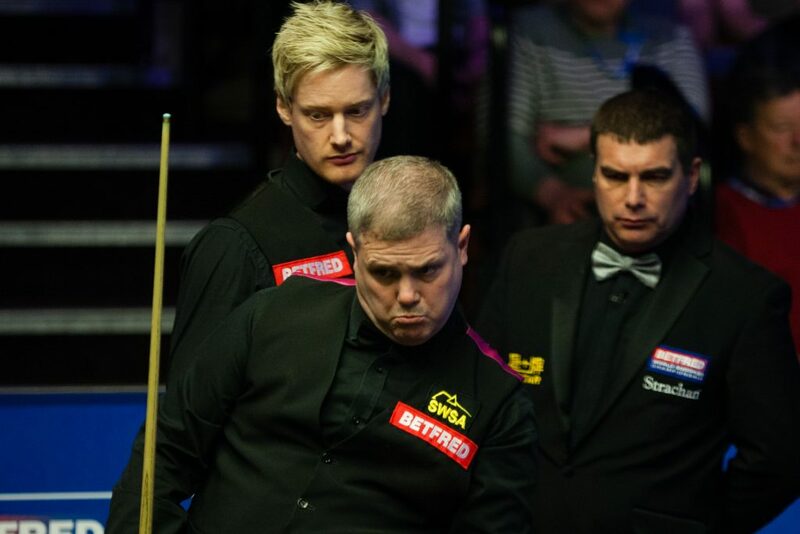 I didn’t pick up my cue for something like five weeks so now I’m coming back to snooker refreshed and really feeling ready and optimistic for the new season. Last summer I went to Australia for a few weeks early in the season but then when I came back I felt as if I was playing catch-up for a long while, and that set me back. My game wasn’t really in a good place until the UK Championship. So this time I don’t need to put myself in that position again. This is the first season for a while where I feel really good from the get-go. Have you mapped out your season in terms of which events you will play in? Not exactly, but I know I’ll be playing in all of the Chinese events because the prize money is so high. I’ll try to play as many events as I can, but probably missing a couple of the smaller ones. Last season you won the Hong Kong Masters and Scottish Open, but finished on a low note when you lost to Robert Milkins in the first round at the Crucible. How do you reflect on that? It was disappointing because a lot of people judge your season on how well you do in the World Championship. In the second half of the season I found some consistency and had some good runs, I felt my game was in great shape heading to Sheffield. The first round there is very tough for the seeds. The guys who come through the qualifiers come out very positive, confident and enjoying it. They are in great form because they have just won three matches. The days when the seeds would be the big favourites in the first round are gone and I think every year now we will see at least five or six of the top 16 going out. This year there were six – and it could have been more because the likes of Ronnie O’Sullivan, Judd Trump, Ali Carter and Anthony McGill won narrowly. In the second round it’s a lot harder for the qualifiers and that’s when you tend to see the best players stepping up. I went into the match thinking Robert might feel nervous and might not play well. My mindset was trying not to lose rather than trying to win, which was a mistake. In the first session he was all over me, he played a great match. Last season you missed the Masters because you dropped out of the top 16 after the UK Championship. Is one of your goals for the next few months to make sure that doesn’t happen again? Yes. Last season I was defending the money I won at the 2015 UK Championship. It wasn’t until around October that I really appreciated what I needed to do to stay in the top 16. A little bit of panic started to set in because I knew I needed something like a semi-final run to make sure of my place, but that never happened. I was actually playing pretty well but lost a few deciders or my opponents were flying against me. In the UK Championship Mark Joyce played unbelievably well to beat me in the last 32. The lower ranked players aren’t scared of the top 16 any more. This season I’m in a much better position because I haven’t got much money to defend as I had a poor season in 2016/17. It’s time to take advantage of that and make sure of my Masters place as soon as possible. I actually really enjoyed doing the studio work for Eurosport at Ally Pally and seeing the game from a different perspective, but it’s still not much fun when you are not playing in the tournament. After that, in February and March, we have the series of the World Grand Prix, Players Championship and the new Tour Championship which are all lucrative events. Are you thinking about the one-year ranking list from the start of the season and trying to make sure of your place in those tournaments? It’s going to be really tough to get through to the final eight-man event, which is one of the reasons I want to play in as many tournaments as I can this season. You are playing with a new cue, what was the thinking behind that? I’d had the previous one for 20 years and I have been suffering with it for the past few seasons. It had lost about 20 percent of the power I had with it six or seven years ago, and there was some damage to it at the top near the tip. It’s a very hard decision to change cues but as there is a bit of a break before the new season starts I felt this was a good time. The new one is from John Parris, it’s ‘one piece’ which again is new for me. So far it feels absolutely fantastic. I’m getting a lot more reaction on the cue ball. Within the first couple of days of using it I had a 147. It has given me a lot of enthusiasm for practice. The next step will be getting used to playing with it in tournaments. Do you see one player dominating this season or do you think the titles will be shared around? What Ronnie O’Sullivan did last season was incredible, winning five events. It’s very difficult for anyone to dominate now because so many of the matches are tough. When I was coming through it was a lot easier for the top players to get to the quarter-finals of almost every event, these days you can play well and not even get to the last 32. When the luck goes your way you have to take advantage. 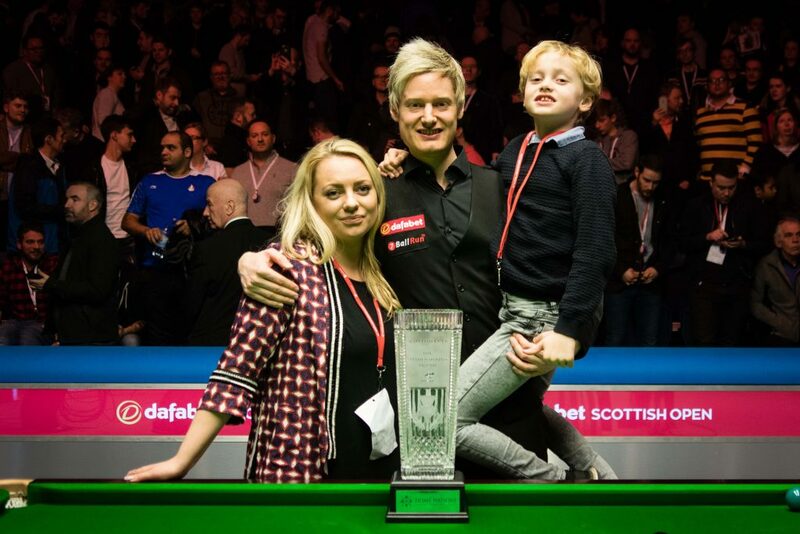 At the Scottish Open I played well but still needed the slice of luck against Cao Yupeng in the final to win the title. Without that it would have been a disappointing season for me. When you get to semis and finals you have to convert them into wins, and that’s what the very best players seem to do. You mentioned your role for Eurosport last season, how much television work do you see yourself doing in the future? The feedback from Eurosport was good. The chemistry I had with Ronnie and Jimmy White was good, we all had fun with each other. I learned a lot from Ronnie just talking to him off-camera about the game in general. It’s definitely something I want to do when I finish playing, but hopefully I won’t be doing it at the Masters again this season! 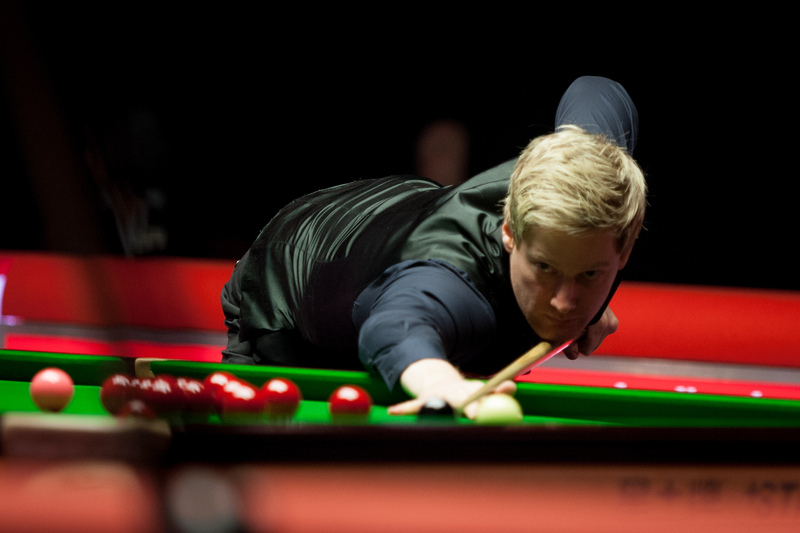 The prize money in snooker is higher now than it has ever been, with 13 players last season earning over £300,000. Does that provide extra motivation? It definitely motivates you to play longer. Look at Mark Williams, he was talking about retiring a year ago – though who knows whether he really meant it. Then last season he goes and wins £900,000. The amount of money on offer now is where snooker should be and it’s going to keep growing. Players coming towards the end of their careers are going to want to practise hard and keep going as long as they can, because all you need is a couple of deep runs in tournaments and you can win a lot of money. When we first started going out to China, the first prize was around £30,000. Now it’s more like £150,000 or £200,000 and the top players are going to get excited about that kind of prize. It’s important that the players are well rewarded for winning the big titles. The World Championship winner gets £500,000 next year and that’s amazing. The young players coming into the game can see the opportunities available.